four wheel drive and a powerful diesel engine capable of over 350 horsepower! This truck features AEV upgrades for added off road capability and a fierce on road look! four wheel drive and a powerful engine hemi engine capable of over 400 horsepower! This truck features AEV upgrades for added off road capability and a fierce on road look! so that you not only get the best price available but that you get it without the hassle. 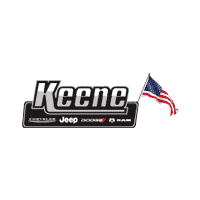 That’s the Keene Chrysler Jeep Dodge way! We do not hide any rebates you do not qualify for in your Guaranteed Price. Though you may qualify for additional rebates that will lower the price stated. Ask your sales representative for all the rebates available on the vehicle you are interested in.